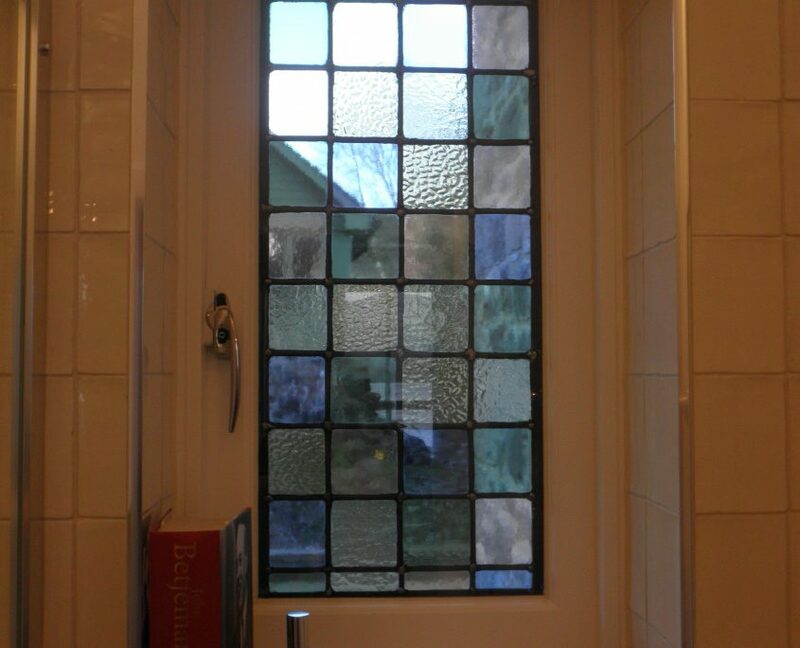 Two central door panels and two adjacent door lights in stained glass encapsulated in double glazed panels. 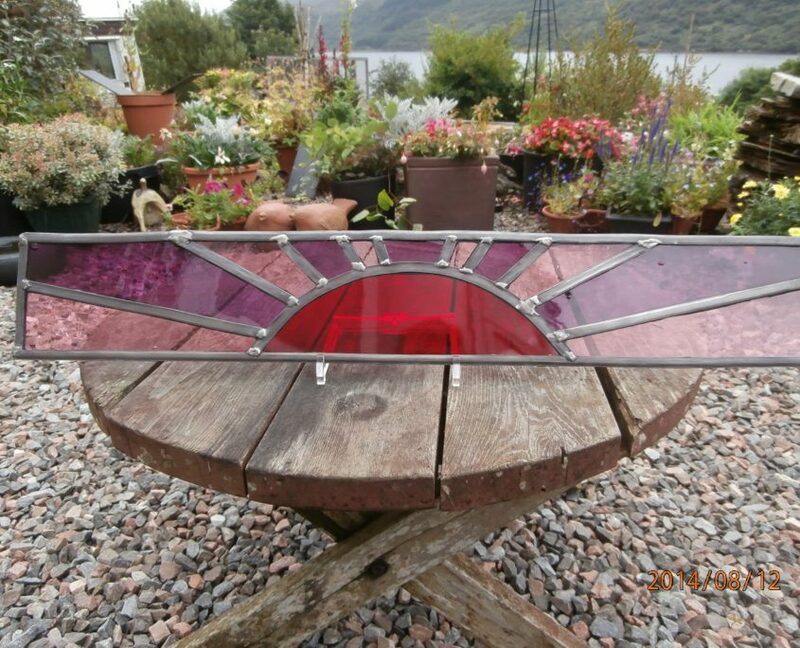 Commissioned piece. 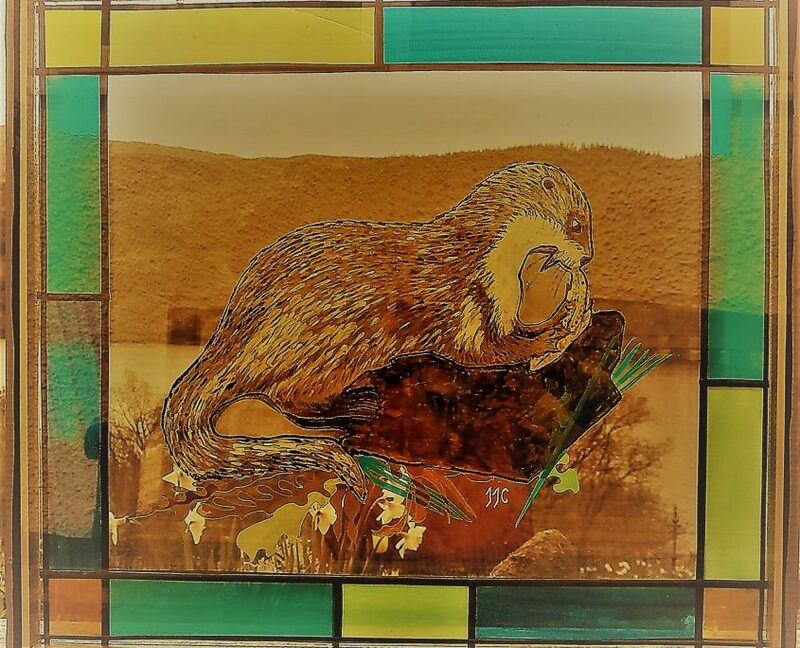 A small stained glass panel for over a doorway in a hotel. 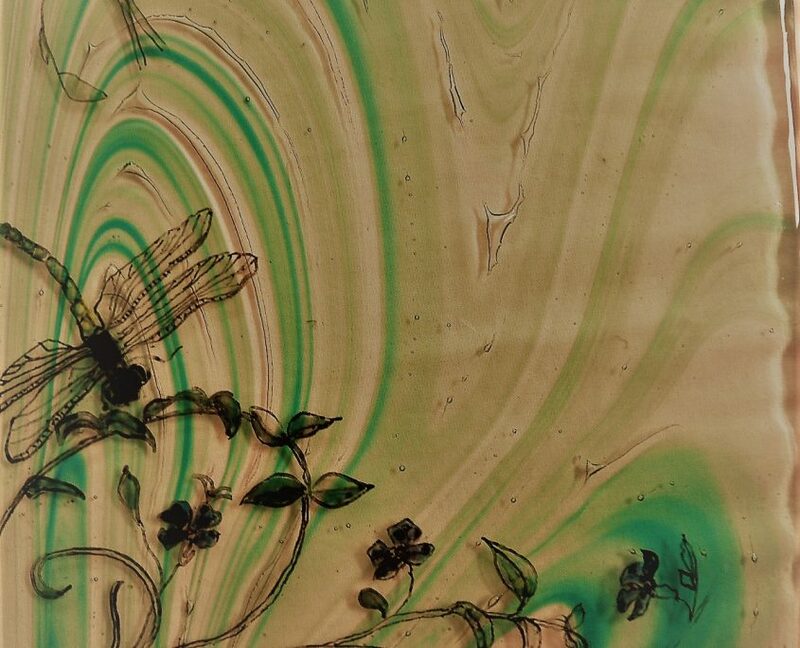 Part of a design for door panels featuring local plants & insects. 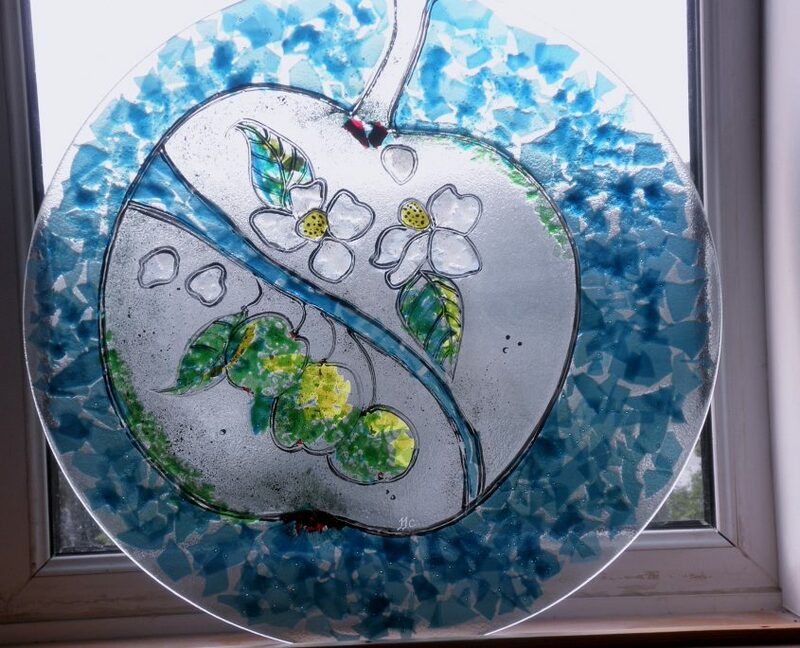 Fused Glass Window Art is an original way to add an interesting feature to your home. 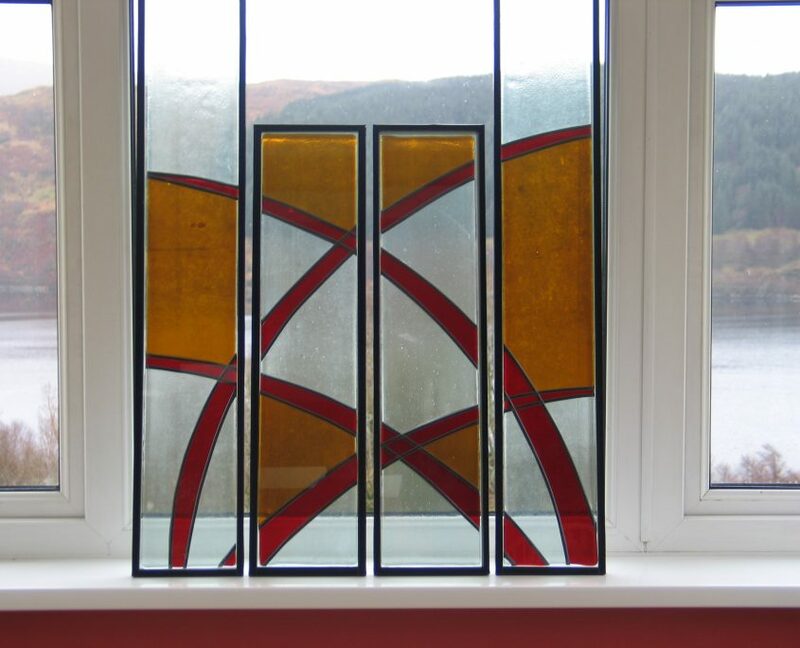 You can have a window piece commissioned and inserted into a double glazed unit, or it can be designed to hang in the window, so that daylight illuminates the piece (Perhaps also obscuring an unacceptable or uninspiring view). 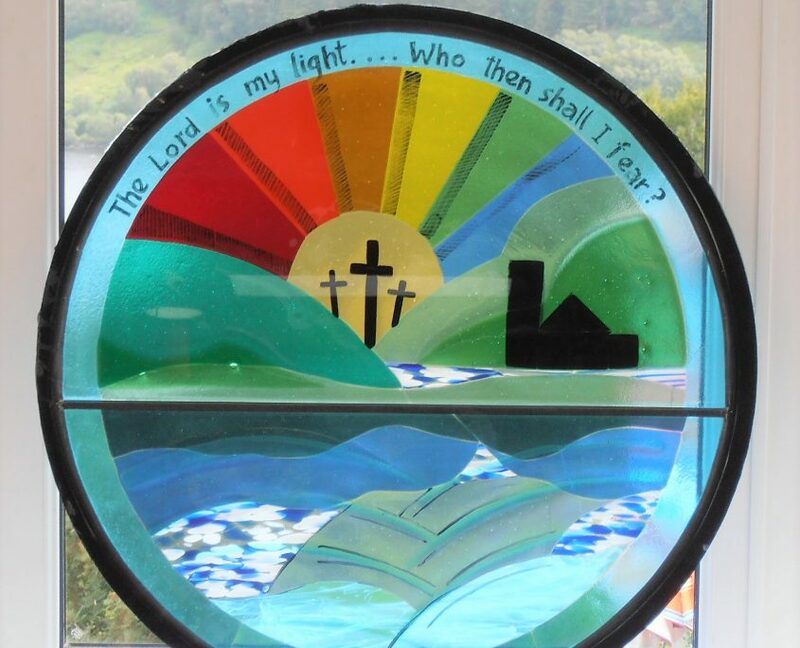 By including backlighting, Fused Glass Window Art can be appreciated during the hours of darkness as well. 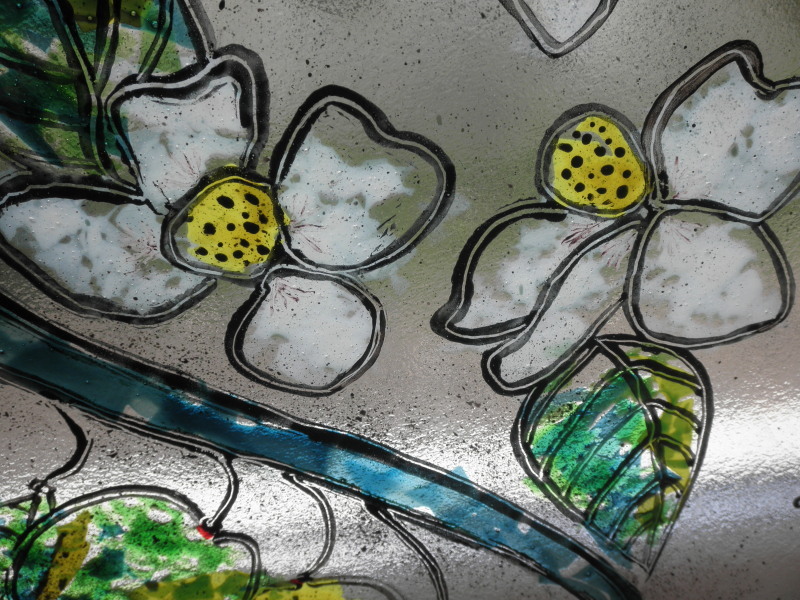 Call Jean on 07876610423 to discuss your ideas or fill in the Enquiry page on this web site.